Admission to the tutorials is free of charge. Priority is given to the participants of the KKIO conference. Participation in the tutorials requires registration. Karol Żak is working as Technical Evangelist in Microsoft Poland. As Microsofts employee he cooperates with IT communities and software developers from all over Poland and Europe. He shares his knowledge on developer tools and different methodologies for building apps and services. In this session you’ll get to know some basic concepts of cloud computing with its pros and cons. You’ll also get know more about Microsoft Azure platform and some of its most used services and features. Michał Wroński is MSc at Rzeszow University of Technology. He works on nonextensive statistical mechanics and physical simulations as a research subjects, but also works with industry specialists on software engineering and development of CAD/CAM software to 3D printing. In recent years some integrated environments for game development were released to the public. During this tutorial we will take closer look on one of them – Unity3D. We will start from examining main features of Unity, with strong focus on aspects that distinguishes this particular engine among others. Then a practical part, including importing objects, writing and attaching scripts and using build-in Unity elements that may come in handy in simulations. At the end of the tutorial we will examine educational possibilities of Unity, especially when it comes to increasing students interest in programming languages and techniques. Practical course aimed to scientists and teachers about using Unity3d features in simulations and teaching programming/software engineering. Affiliation: SoftSystem Sp. z o.o. Currently working at SoftSystem Sp. z o.o. in Rzeszow, as Project Coordinator. She has 16 years of experience in the IT industry. Certified HR Business Partner and Coach. She believes that people creates the Company and are their strength. While working with people, she is mixing knowledge and expertise from such areas as psychology, human resources management and elements of law, what gives her the inspiration to seek the optimum paths leading directly to the employer’s and employee’s goals. At the moment the IT market is without any doubts the employee’s market. IT companies are fighting for the best specialist and they don’t safe money in this battle. Intelligent AI (AI) and lean management are entering the recruiting departments these days. The time, place, way of reaching the candidates, the candidate’s profile and his expectations and motivation to make a change are the key roles in the recruitment process. Today it is not enough to hire an employee. You need to do everything to keep him in the company, and this exercise is becoming more and more challenging. Currently, the average programmer’s employment in one company is estimated to be about 30 months. The structure of employment in companies is gradually changing and sooner or later the representatives of Y generation will be the biggest group of workers. So how to build a personnel policy towards representatives of the Y generation, which will constitute an increasing proportion of the workforce? Taking into account the attitude, expectations and needs of this generation of employees, it is useful to consider what tools to use to keep them in the organization as long as possible (improvement and development, motivation and reward systems, coaching, work-life balance, feedback etc.) Companies have an ever-expanding array of possibilities and be sure they do not hesitate to use them. Tools used in the recruitment process. Characteristics of X and Y generations and differences between the management of the representatives of these generations. Tools and methods which can help motivate and keep an employee in the company. He currently runs Research Department at SoftSystem Sp. z o.o. 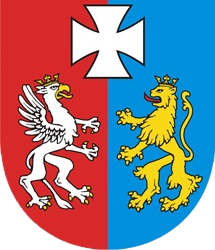 Rzeszów, as a Research and Development Director. He has 15 years of experience in development of laboratory information systems including Genetics, Flow Cytometry and Medical Reporting. Currently also PhD student at The Faculty of Electrical and Computer Engineering, Rzeszow University of Technology, working on application of artificial intelligence in medicine. The aim of the lecture is to bring aspects of medical software development. Discussed are classification criteria for software as a medical device and number of consequences related to the fact. Presented are legal issues and practical requirements for medical diagnostic software in the context of differences between Poland, Europe and USA. Presented are the selected examples of medical systems and their characteristics as far as the mentioned classifications are concerned. area of software engineering (model-driven development, requirements engineering) for major Polish and international banks, telecoms, insurance companies, software houses and at conferences (e.g. at the MODELS conference). He is engaged in research and teaching in the areas of model-driven development, language engineering, requirements engineering and software reuse. He published around 100 papers, reports and books, including “Understanding UML. Methods of object modelling” published by Helion and “From Requirements to Java in a Snap” published by Springer. He was the scientific chief of the European 6FP ICT “ReDSeeDS” project (www.redseeds.eu), and was leading the WUT team within the 7FP ICT “REMICS” project (www.remics.eu). Software project managers dream of technologies that would allow to turn requirements specifications instantly into working code. Model Driven Requirements Engineering does not promise miracles but it offers an approach to shorten this path significantly. Its promise is associated with the ability to define requirements in a rigorous, model-driven way and then automatically generate detailed design models including operational code. In this tutorial we will show that this is possible from the level of use cases. We will demonstrate how to write use case scenarios that are understandable by business experts in a wide range of domains and at the same time precise enough for automatic transformations. In this demonstration we will apply the Requirements Specification Language (RSL) that is defined with a strict meta-model. We will also demonstrate and conduct exercises using a novel tool (ReDSeeDS, www.redseeds.eu) that allows for specifying RSL-based models and then translating them into design models and fully dynamic Java code. We will show that from use-case based requirements associated with conceptual domain models, the whole code for the application logic and even the user interface forms, can be produced automatically. Moreover, the domain logic code can be initiated from the requirements-level vocabulary and verb phrases.